You can specify a number from 1 to 2889. Learn how to communicate during disasters, emergencies, and community events. Be prepared for the next blackout! Explore various means of electric power generation. 2nd Edition. 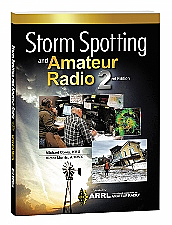 A resource for the Amateur Radio operator who volunteers as a trained storm spotter. A quick trainer and field resource guide for the emergency communicator. You can specify a number from 1 to 905. Reflective hat, with ARES logo embroidered on front. 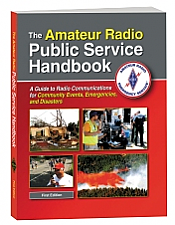 Perfect for public service and emergency communications support activities. Neon vest with front pockets and front and back reflector panels. 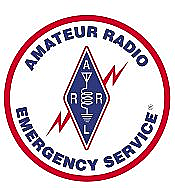 "AMATEUR RADIO EMERGENCY COMMUNICATIONS" on one side and the ARES logo on the other. Mesh vest with large front and back reflector panels. 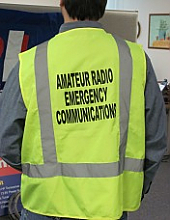 Imprinted with "AMATEUR RADIO EMERGENCY COMMUNICATIONS" on one side and the ARES logo on the other. 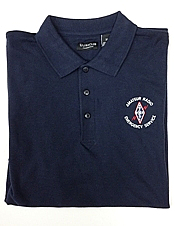 Navy polo shirt embroidered with the Amateur Radio Emergency Service (ARES) logo on front left chest. 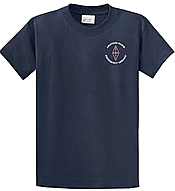 Navy t-shirt silk screened with the ARES logo on front left chest and Radio Communications on back. 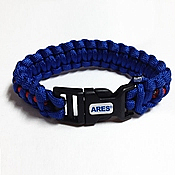 Custom crafted ARES paracord bracelet. Useful in emergencies as it unravels. Small 8.5", Large 9.25”. 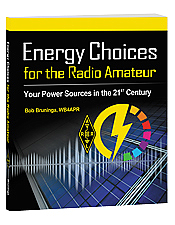 Show your support for Amateur Radio and the ARES program with these supply items! Pins, patches, stickers and more are available. Click details to order. 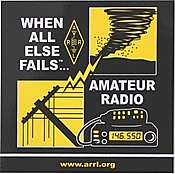 A great reminder that Amateur Radio provides immediate, high quality communications that work every time. T-shirts, pins, stickers, and more available. Click details to order. 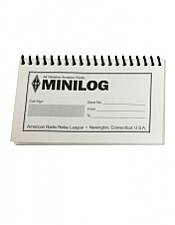 This 50 page waterproof Amateur Radio log book is portable, packable, tough and it floats. This book will prepare you for staying in touch post-disaster: technology, gear and planning. 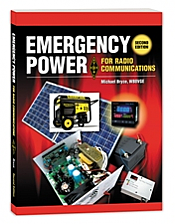 An adventure novel that combines exciting, non-stop action with dozens of practical emergency preparedness and high-tech ham radio tips.